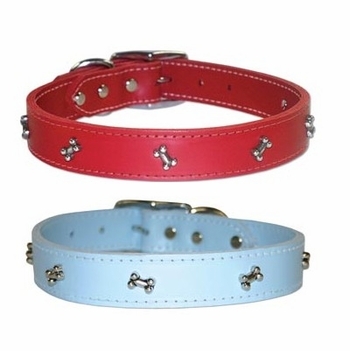 This made in the USA 1/2 inch wide leather dog collar is available in the following sizes 10, 12 and 14. Size 10 will fit a 6 to 7-1/2 inch neck. Size 12 will fit a 7-1/2 to 9-1/2 inch neck. Size 14 will fit a 9-1/2 to 11-1/2 inch neck.